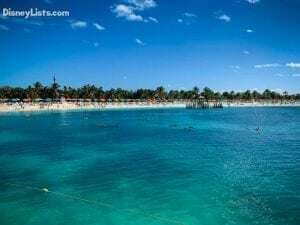 Our final full day of our Disney Magic Cruise was an opportunity for us to slow down and enjoy the tropical waters of the Bahamas at Disney’s private island, Castaway Cay (pronounced “key”). 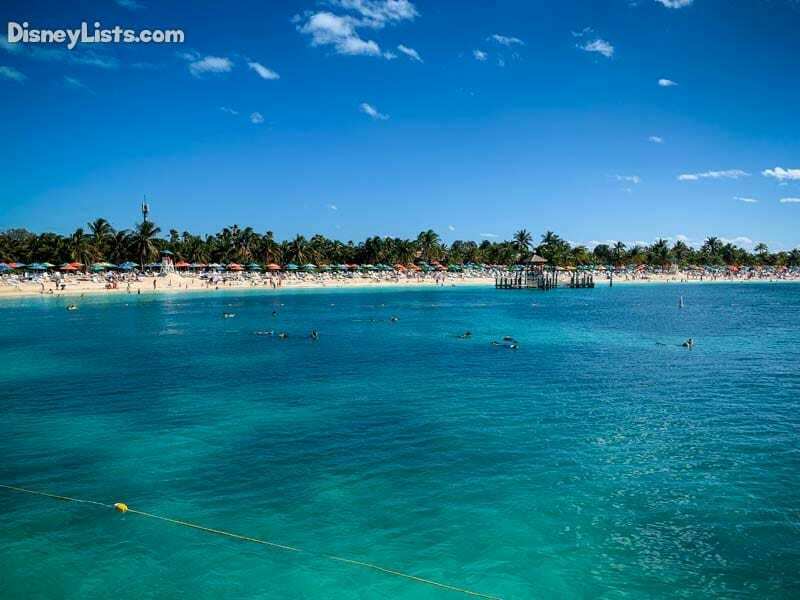 The island itself is absolutely beautiful with crystal-clear turquoise waters, white sandy beaches, and lush tropical landscapes that really help you feel like you are in paradise! We really enjoyed our time on the island. Our last evening on the Disney Magic was filled with more amazing entertainment that helped to end the cruise on a high note! Read all about our last day below. 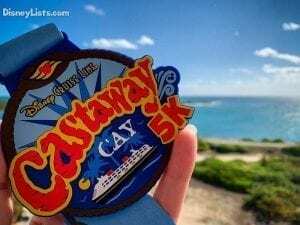 Chad and I started our day with the Castaway Cay 5k. This event has no additional charge and is open to everyone of all ages and fitness. There were plenty of walkers along with runners. Guests should sign up prior to the race at Guest Relations. We met at the Walt Disney Theater at the appointed time and went as a group to the start line. The route is well marked, and there were very helpful Cast Members there to help anyone who needed assistance. It was a great way to see the island and burn some calories. After we finished, we received medals (plastic), which we were very excited to add to our collection. Chad and I are runDisney enthusiasts and were thrilled to check off this race which had been on our list for a very long time! 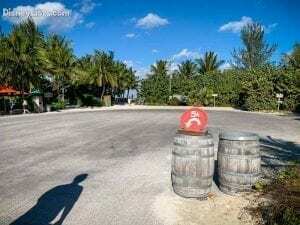 Castaway Cay features a doc a short distance from all the action which makes a quick trip back to the ship if necessary a breeze. After we ran our 5k, we were able to easily head back onto the ship to clean up and get ready for our day on the island. 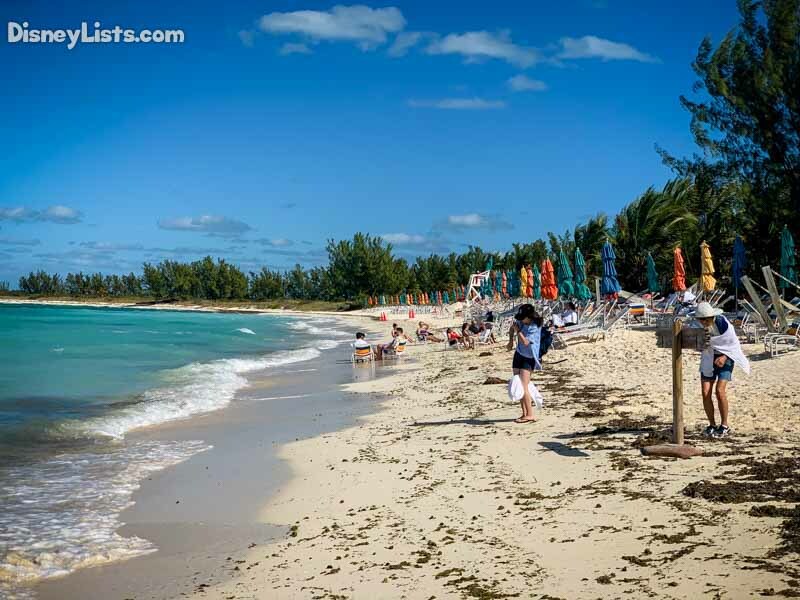 Tram transportation is also provided to and from various points on the 1,000-acre island, including a special tram to Serenity Bay – a beach area reserved exclusively for guests 18 years of age and older. We took advantage of these trams during our visit. While we did enjoy walking around, it was very nice to have the option to take the trams to save some time. 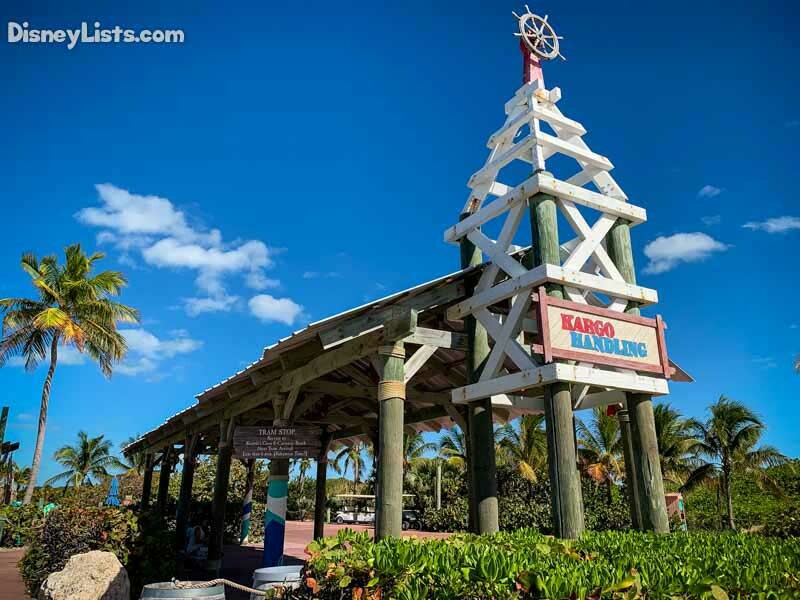 Castaway Cay has its own post office where guests can mail a message to family and friends back home. For added convenience, complimentary beach towels are available for guests to use on the island. There are also a few gift shops around the island to get the perfect souvenir. Stateroom key cards may be used to make purchases on the island, including merchandise and alcoholic beverages. There were plenty of chairs all around the island so no need to worry about not getting one. There are also a lot of umbrellas around the island that are set up and available for no extra charge (other cruise lines charge for umbrellas). While our day was not a hot one, being able to have an umbrella on a hot day is a very nice perk! There are plenty of places to get delicious food on the island. 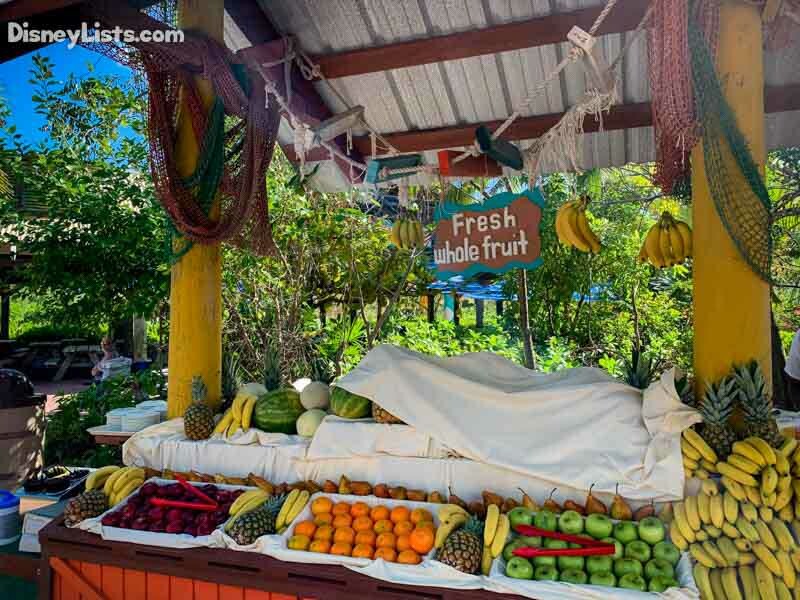 An all-you-care-to-eat lunch buffet is served at the open-air Cookies’ BBQ and Cookies Too located near the main family beach under covered family pavilions. Cookies feature typical back yard barbequed fare such as ribs, hamburgers, hot dogs, and chicken sandwiches, etc. The food choices are the same at each location so head to the one closest. Each Cookies location also had self-serve ice cream machines with the unique flavors of strawberry and banana, which was not available on the ship, in addition to vanilla and chocolate. 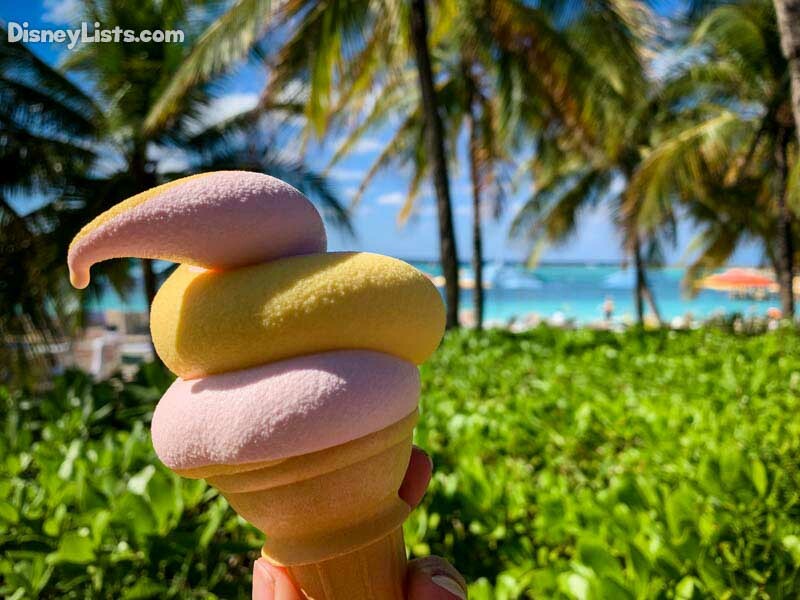 I certainly took advantage of the strawberry-banana cone! Adults spending their time at Serenity Bay don’t need to leave for the main beach to eat lunch or grab a drink. 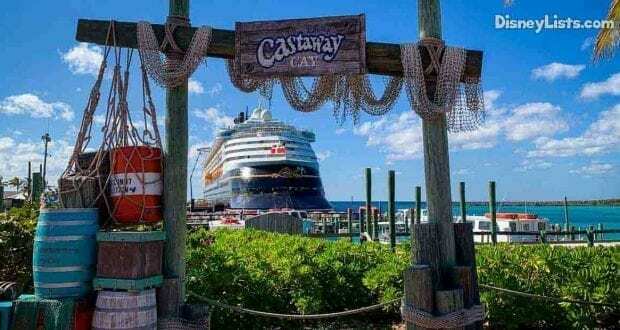 A smaller lunch buffet, Bahamian specialty drinks, beer, and mixed drinks are served at the nearby Castaway Air Bar. As an added bonus at the adults-only lunch location, ribeye steaks grilled to order are available. 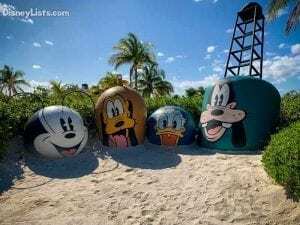 Like the Disney ships, Castaway Cay is designed with unique activities and areas for every age group, providing an exceptional experience for everyone. We explored the many areas of the island. 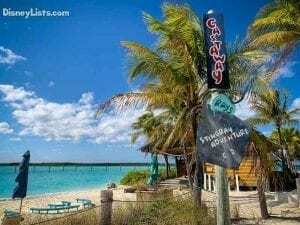 Here is a breakdown of the amazing things to do on Castaway Cay. Guests can swim and interact with Southern Stingrays in a private lagoon. This up-close encounter with the rays is part of a one-hour experience called Castaway Ray’s Stingray Adventure and is open to guests five years of age or older. For water sport enthusiasts there are water cycles, paddleboats, sea kayaks, sailboats, stand-up paddle boards and snorkel gear for rent. The island features a 12-acre snorkel trail dotted with sunken treasures, including a submarine from the classic Disney attraction 20,000 Leagues Under the Sea and a statue of a certain familiar mouse. 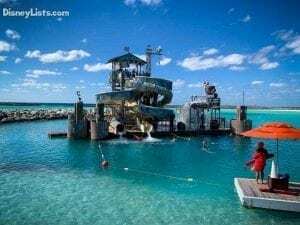 Located within swimming distance from shore, Pelican Plunge is a 2,400-square-foot floating platform featuring water slides, water cannons, and other get-wet fun. On the island, a 2,400-square-foot water play area called Spring-a-Leakhelps everyone cool off with fresh-water jets that squirt and spray and saturate guests. 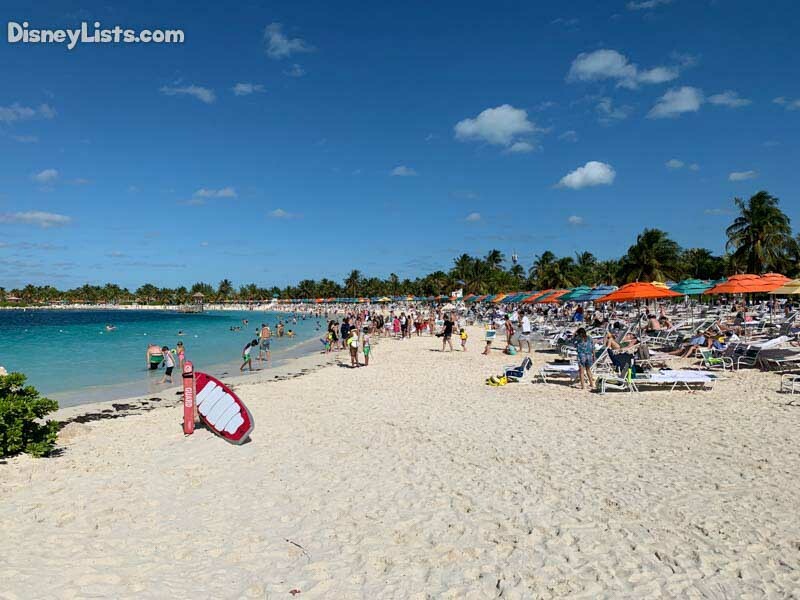 Castaway Family Beach has plenty of umbrellas, chairs, and hammocks for a perfect day in the warm sun and comfortable shade, plus tube and float rentals for fun in the swimming lagoon. Premium private cabanas along the far side of the family beach and are available to rent, providing luxury and giving guests a spectacular view of their Disney cruise ship from the cabana’s front patio deck. 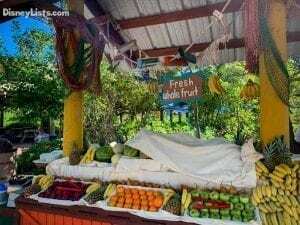 In Da Shade Game Pavilion provides guests wanting to take a break out of the sun a place to play games such as table tennis, foosball, billiards and basketball in a shaded structure centrally located near Castaway Family Beach. The Watercraft Ski Adventure gives guests a chance to drive a personal watercraft through intricate mangroves and other natural wonders around the island. Nature-lovers rejoice: there are a number of paths to the island’s interior that can be explored either on foot or bicycle. A knowledgeable guide explains the ecological wonders found in the Bahamas during the Castaway Cay Walking and Kayak Nature Adventure. 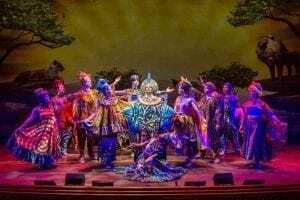 Throughout the island, guests are treated to a myriad of surprises from Disney characters, including special meet-and-greets, photo opportunities, and dance parties. Mirroring the youth activities on the ship, children ages three to 17 will find programs and activities designed specifically for them on the island, supervised by trained, experienced counselors. Gotta Get Soaked, a team challenge with water balloons and buckets. Water Mania, water play for younger kids. Caribbean Beach Party, sand castle challenges and bubble games, offering more games, music, and fun for the little ones. Tweens (ages 11-13) have scheduled time to hang out together, supervised by youth counselors, at In Da Shade Game Pavilion and Pelican Plunge. Hide Out is a secluded retreat for teens (ages 14-17) where they can hang out, kick back, soak up the sun, listen to music and watch the action at the nearby beach volleyball and soccer areas. 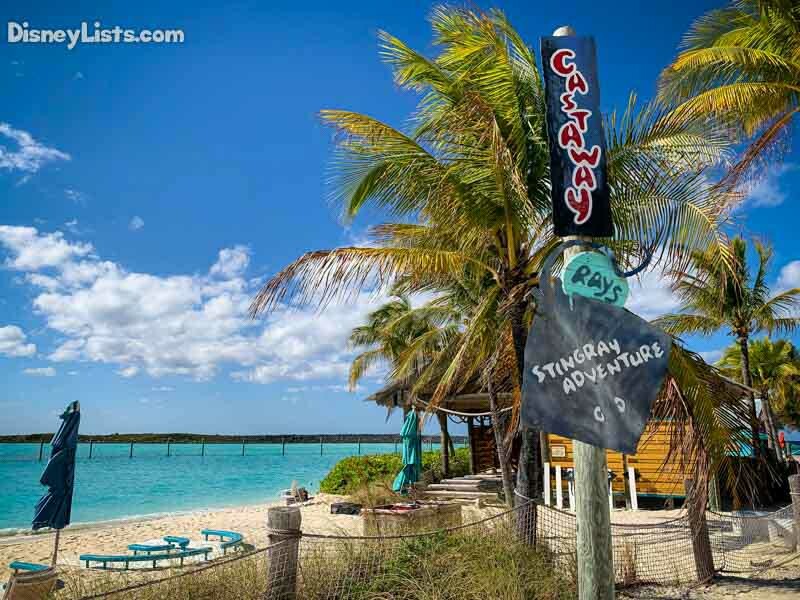 Teens explore Castaway Cay during TheWild Side excursion designed just for them. 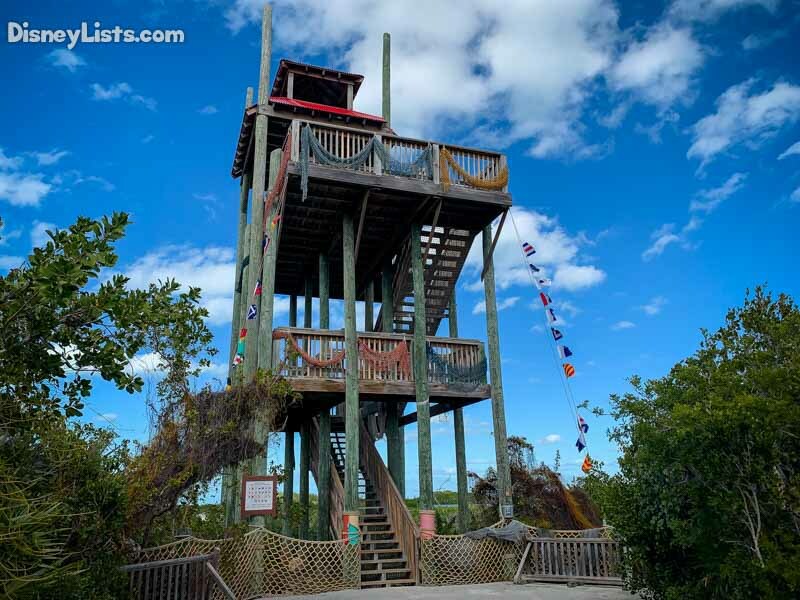 They’ll snorkel, bike and kayak through the island and finish with a hearty lunch. Guests can soak up the sun or relax in the shade of an umbrella on comfortable lounge chairs or two-person hammocks that dot the beach. Premium private cabanas spoil guests with the luxury of a deluxe beach resort. Adults can enjoy a therapeutic massage at a massage cabana overlooking the ocean or participate in a yoga class on the beach, just steps away from the crystal-clear water. We thoroughly enjoyed our time on the island. The food was delicious, and we really enjoyed having plenty of beverage stations to grab a soda or water. We have a nice bike ride through the island trails were able to see some pretty secluded areas. We did not end up swimming as it was a cool day. However, the water looked fantastic, and there were plenty of people enjoying the many activities in the water. Time on the island was too short, but we can’t wait to get back and explore it again! Just as in port days, you do not need to leave if you would rather enjoy what the ship has to offer. Movies were playing throughout the day, the youth clubs were in full swing, and the pools on the ship were there to enjoy. This is also a nice option to have in case the weather doesn’t cooperate for an island day. 7 – One Last Evening Meal! After enjoying our last sunset at sea on Deck 10, we headed to Animator’s Palate for our final dinner. The food was once again delicious. We never had a meal we were not happy with. We also enjoyed Disney’s rotational dining which allowed us to experience all three restaurants throughout the cruise. It allowed a nice change of pace, and we were able to enjoy different themes, which was nice. By the last evening, our serving staff knew us well, and their service was exceptional. After dinner, we enjoyed our last evening show, “Disney Dreams … An Enchanted Classic.” This show tells a bedtime story of a young girl who realizes the power of her dreams with the help of favorite characters from beloved Disney features, including Aladdin, The Lion King, Frozen, Beauty and the Beast, and The Little Mermaid. 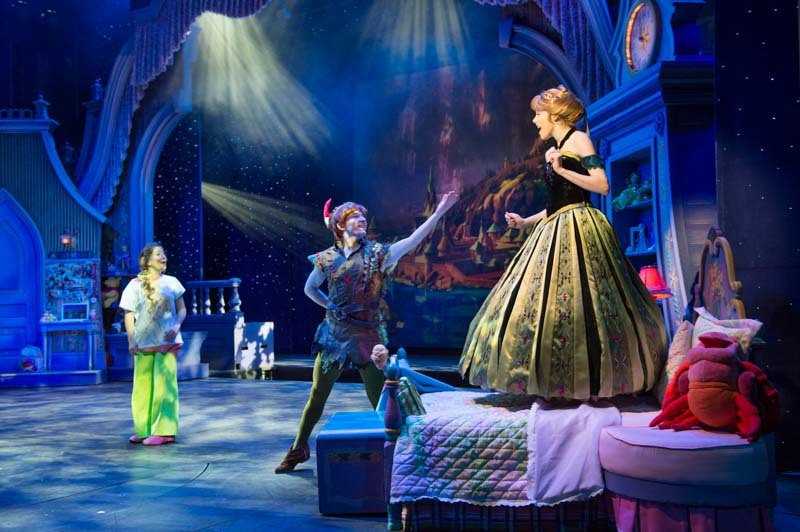 This Broadway-style stage show is performed exclusively at the Walt Disney Theatre on the Disney Magic and Disney Wonder. The entertainment staff on our voyage continued to impress us; they were outstanding. At the end of the show, it was hard not to get choked up. I admit I did cry—it’s the kind of feeling you get when watching the fireworks on Main Street USA with Cinderella Castle in view. Disney just has a way to inject magic into everything they do, and this was one of those moments. 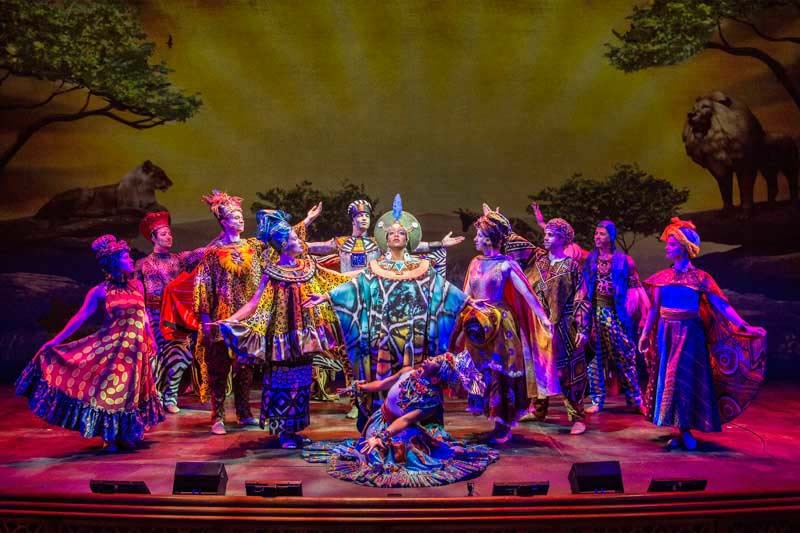 The production, singing, acting, and dancing blew us away for the third night. I can’t say enough about this team and their performances. We loved them! 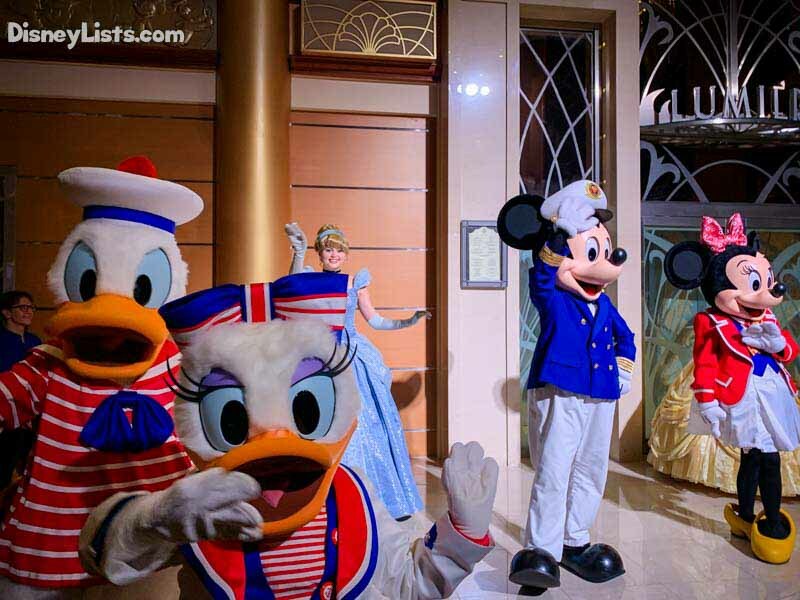 Sadly, at the end of the evening, we went to the Atrium to catch the final show, “Till We Meet Again.” This show allows guests to cheer on Cast Members, and wave goodbye to our favorite characters. 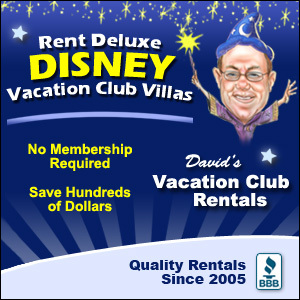 Of course, with Mickey, we never say goodbye, but “See you real soon.” We sure hope so. Our cruise was a fantastic vacation we will never forget. 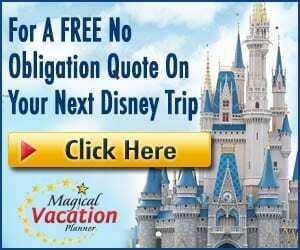 Be on the lookout for our final article of our Cruise Week where we’ll discuss the debarkation process and give our overall thoughts and recommendations for Disney cruising! Be sure to check out our highlighted Instagram Story from Day 5 by clicking here. 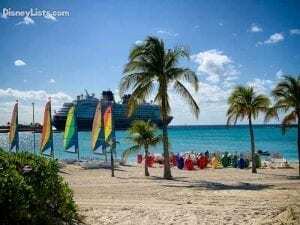 You’ll see lots of photos and video from our fifth day at sea featuring Castaway Cay!